Much like criss-crossing filigree, Spanish designer and artist Jaime Hayon’s Grid collection for interiors manufacturer Gaia&Gino intersects British medieval history with the artisanal know-how of Turkey. 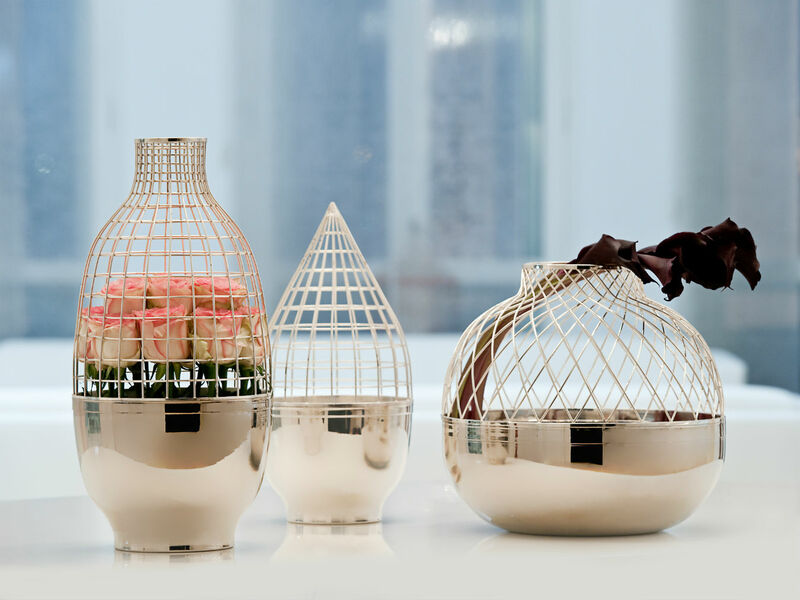 Hayon, fascinated by tales of the Knights Templar, Henry VIII, and the Tudors, took visual cues from suits of armour and fencing masks in designing strong yet delicate latticework vases in round, coned, and cylindrical forms. Hayon’s experiences during a trip to Turkey also manifest with influences of Islamic workmanship: the vases are crafted in silver and copper. The Grid collection is the essence of two distinct cultures married by design.